There several accommodation categories in the island. In Skiathos you can find more than 35 hotels, more than 110 mixed apartments and studios, over 30 guest rooms, villas and houses for rent. There are several websites you can find many information to arrange your accommodation. What we are offering is help travelers to book their accommodation more precisely according to their requirements. Skiathos is a paradise but staying during August in the wrong location can become hell. If you are coming to spend a relaxing vacation you must be very careful of your choice. From the other hand nature of the island is really interesting.Vegetation of the island has nothing to do with common Greek island scene.Comparing the correct accommodation with some special activities a perfect and unique vacation time is achieved. Of course our aviation related personnel is the most suitable to guide you for the arrangement of your accommodation to the place with the perfect airport/landings view. Those special requirements cannot be found on any website on the web. Sometimes we sending samples of images and/or videos to assist the visitor to select their accommodation. Do not hesitate to contact up for any assistance and for better prices. 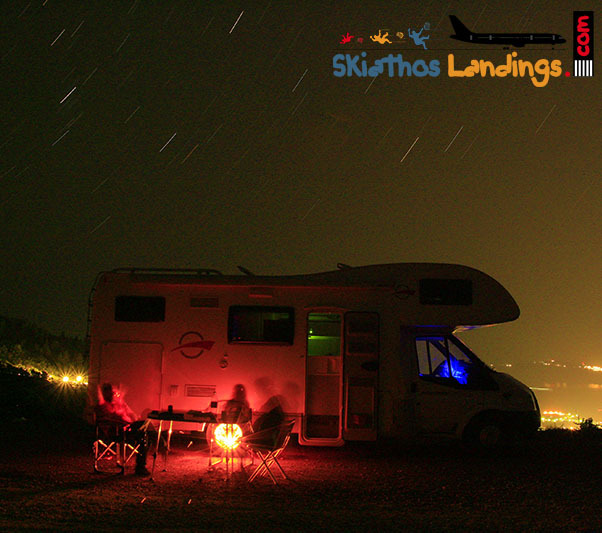 Skiathos used to have two campings, one in Aselinos and a second in Koukounaries. Camping in Ligaria is abandoned but the area of the camping is public and still available for free camping with very close walking distance to Aselinos beach. The second camping is operating normally in Koukounaries. It is the best solution for camping since you are walking distance from probably the most beautiful beaches of the island, Maratha and Koukounaries and within a walking distance of 200-300 meters you can find all necessary facilities, from restaurants and super markets to ATN machines and pharmacy. Koukounaries offering several transportation services from public bus and water taxi direct to Skiathos port till bicycle. For detailed transportation information you can visit TRANSPORTATION section. 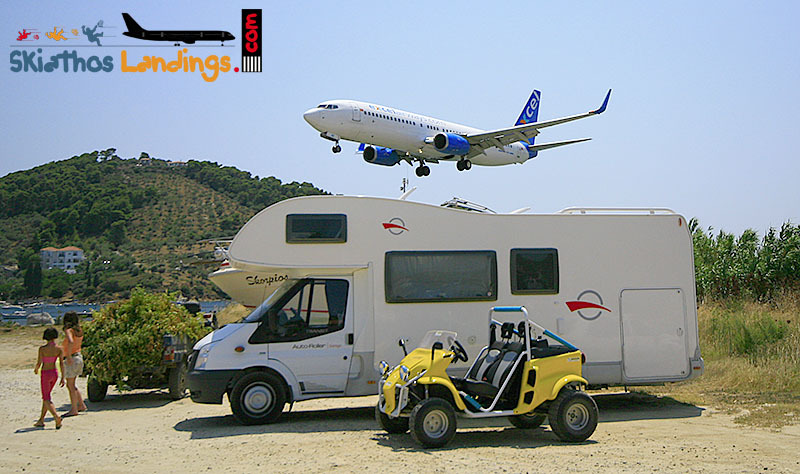 Most of the members of our team are owners or campers and we are in cooperation with specialists or camber rentals and support all over Greece. If you like to stay in organized place for RVs we can arrange space for your visit. The facility can accommodate a limited number of vehicles offering 220V power, portable water, WC and restaurant – cafe. For further assistance choosing the correct location for your needs according to vehicle capabilities and size, up to places for servicing, LPG supplies, maintenance and everything else, please contact us. Please feel free to contact us no matter if you choose payware option or free camping.